Recently I stumbled upon a piece of news that claimed hydrogen powered cars have already covered a million miles in the US. The news came from First Element that did the math and estimated that at least 1 million miles were covered in hydrogen powered cars in the US so far, judging by how much of the ‘fuel’ was sold so far. This got me thinking about the Hydrogen 7 model, a car BMW brought out back in the late 2000s. In case you don’t remember, the E65/66 7 Series had a version that used hydrogen instead of petrol or diesel to get around. It was only built in 100 units and was presented as a sort of experiment to the public, to show that hydrogen can be really be used on passenger cars. The remarkable thing about this vehicle was that it was actually using an internal combustion engine that burned hydrogen instead of getting energy from it via fuel cells. 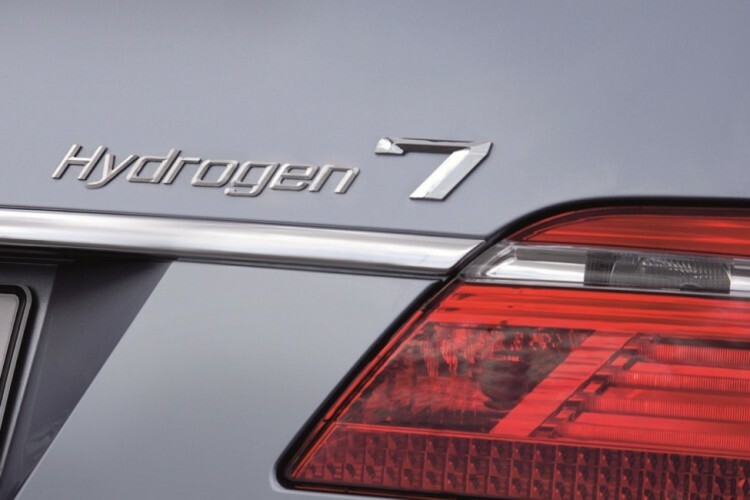 The Hydrogen 7 was based on the 760Li model and featured two tanks: one for hydrogen and one for gasoline. The 6-liter V12 engine under the hood was modified so that it could use both fuels. Unfortunately, the efficiency the car had on hydrogen was extremely low, returning about 5.6 mpg (50 l/100km) on average, mostly due to the difference in energy density between petrol and hydrogen. Even so, the green character of the car was evident as CO2 emissions were eliminated completely. While BMW claimed the emissions to be zero, even if for just about 200 km (125 miles) due to the small hydrogen tank and low mpg ratings, the EPA didn’t agree, according to recent findings. Even though nothing was mentioned publicly when these events happened, the US regulators said that the engine used on the prototypes the Germans made was still an ICE unit and therefore used lubrication, which, in turn, meant that small particles of oil could still end up in the combustion chamber. Thus, the Hydrogen 7 was not recognized as an emission free vehicle when using solely hydrogen. Apparently, even though this sort of engine could’ve been built alongside traditional ones on assembly lines around the world, BMW was so disappointed in how the EPA saw their experiment that they dropped the whole thing. Of course, hurdles such as the lack of infrastructure were also a contributing factor but as we see fuel-cell vehicles step into the limelight these days, we’re also seeing these recurring themes showing up. The infrastructure issues weren’t solved to this day and even though the new approach towards using hydrogen as fuel does seem even more eco-friendly, the pause BMW took in terms of research definitely didn’t help. Today, the Germans are working with Toyota to develop new means of transportation that can use hydrogen without such issues. However, no matter how good a fuel-cell car will be it can’t match up to an internal combustion engine in terms of feel. And that’s why the Hydrogen 7 was special. Sure, it didn’t get great mpg ratings but it used hydrogen and nobody really cared. On the other hand, unlike fuel-cell cars, it could be revved, there was an exhaust sound to listen to and you could feel alive behind its wheel.